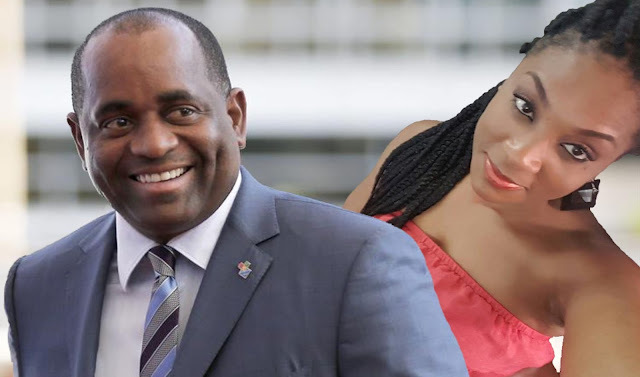 In their never-ending pursuit of having our citizens grovel at their feet for assistance, the Roosevelt Skerrit government brought its time-tested Red Clinic to the farmers of Dominica today. 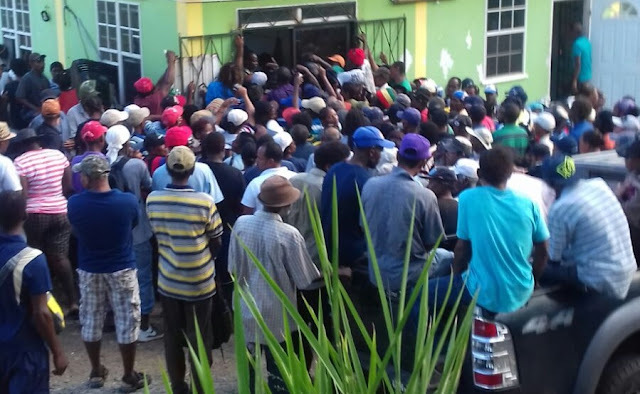 In a scene that we have seen repeatedly since the passage of Hurricane Maria but one whose roots can be traced back to the glory days of Wednesdays at The Financial Centre, Dominicans, in this case farmers, cued up and jostled to receive assistance from the government. Lizzy, our intrepid on-the-ground correspondent, reports that the entire experience was sad and embarrassing. "To see our farmers who have been feeding us for decades reduced to begging in front of an iron gate was very humbling for me", she said. "It was undoubtedly a humiliating experience for the farmers". She reports that she was informed that the assistance came from the World Bank. Welcome to the new normal in beautiful Dominica. This report was prepared with contributions from Lizzy the Blogger, our correspondent in Roseau.